It’s an open question whether this season will bring us exciting new musicals but, so far, there are a couple of excellent revivals. 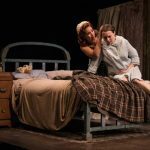 The Irish Repertory Theatre, under the direction of Charlotte Moore, has cut the 1947 hit “Finian’s Rainbow” down to size so that it is an unqualified delight. The script, which takes place in the mythical Rainbow Valley, Missitucky, is a mix of whimsy (with a leprechaun and a pot of gold) and social commentary (with a racist senator, who is turned black) along with romance. 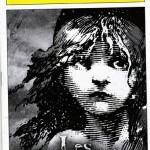 Where the show achieves greatness is in its songs by Burton Lane and E. Y. Harburg (who penned the book with Fred Saidy). The score includes charmers like “How Are Things in Glocca Morra?,” “Old Devil Moon” and “Look to the Rainbow.” Even a lesser known song, such as “Necessity,” scores because it is so well performed. 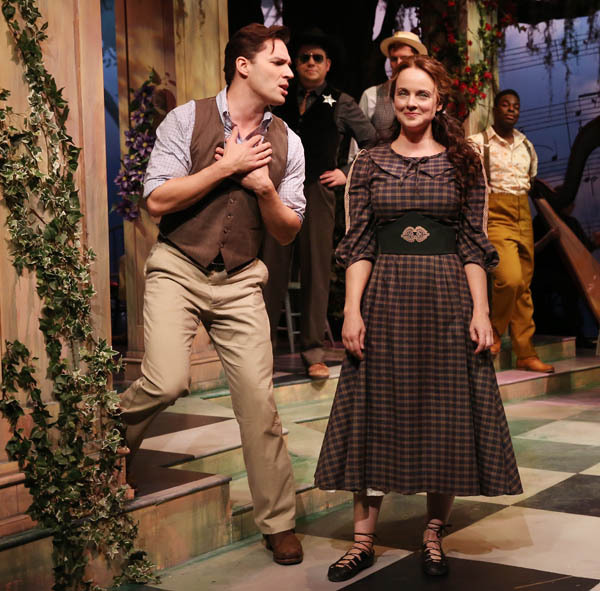 The cast could not be better, with the pristine soprano of Melissa Errico, Ryan Silverman as her love interest, light-footed Mark Evans as the leprechaun and Dewey Caddell as the bigoted politician. Also worthy of praise are the inventive choreography of Barry McNabb (in the theater’s limited space) and the set by James Morgan. The run has been extended until December 31st and this is a show the whole family can enjoy. Almost half a century after “Finian’s Rainbow” came, “Falsettos” and life had changed a great deal during the interim. 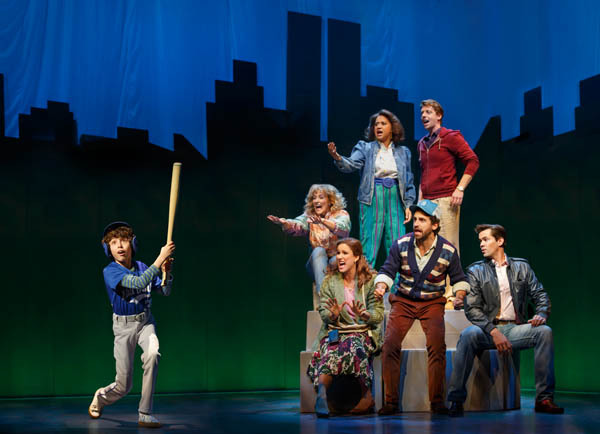 A stunning revival of “Falsettos” presented by Lincoln Center Theater at the Walter Kerr Theater demands to be seen. With its witty score by William Finn and book by Finn and James Lapine, who also directed the revival, the show is still timely and moving. 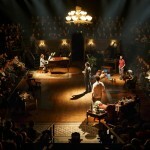 The neurotic central character, Marvin (Christian Borle), has an ex-wife, Trina (Stephanie J. Block), a male lover, Whizzer (Andrew Rannells) and a young son, Jason (Anthony Rosenthal). 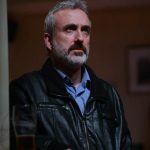 To complicate matters, Marvin sends his wife to see his psychiatrist, Mendel (Brandon Uranowitz), and those two become romantically involved. When the second act starts in 1981, Marvin and Whizzer have broken up and Trina and Mendel have married. Whizzer develops Aids and Jason must decide whether or not to go through with his bar mitzvah. Featuring Liesel Allen Yeager (Dorcas), Pun Bandhu (M. Aung), Ken Barnett (Codename Lazar), Emily Bergl (Alice Park), Dani de Waal (Louise), Mike Iveson (Another Frenchman), Byron Jennings (Leonard Darwin), LeRoy McClain (Mick), Tim Nicolai (John Begley), Paul Niebanck (Sir Andrew Charleson), Ann Sanders (Mme. Aung), Julian Sands (Interviewer), Corey Stoll (Raymond Brock), Benjamin Thys (A Frenchman), and Rachel Weisz (Susan Traherne). Borle has already won Tony awards for “Something Rotten!” and “Peter and the Starcatcher.” This may be his third. The whole cast is praiseworthy. David Hare’s 1982 drama, “Plenty,” is being revived at the Public Theater. The lead role of Susan Traherne has attracted top actresses, from Kate Nelligan on stage to Meryl Streep on screen. This production stars the formidable Rachel Weisz. She plays an Englishwoman who became a resistance fighter in France during World War II when she was only 17. The post-war world becomes a disappointment to her, despite her loving husband, a diplomat named Raymond Brock (played by Corey Stoll). Emily Bergl is Traherne’s bohemian friend and Byron Jennings is Brock’s boss. David Leveaux’s production is uneven but Weisz and an intelligent script are definite pluses. 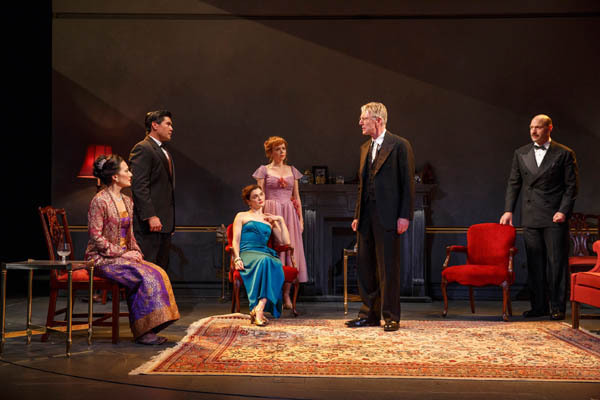 Mike Bartlett’s “Love, Love, Love,” presented by Roundabout Theater Company at the Laura Pels Theater, is a trenchant British social comedy. 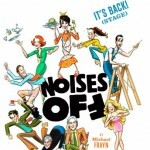 The play covers the baby boomer generation from the swinging 60’s (when Kenneth and Sandra meet) to 2011 (when they are divorced and have adult children). In the middle section they are in the process of breaking up while their kids are messed up teenagers. Michael Mayer’s direction is right on target, with strong performances by Amy Ryan and Richard Armitage as the parents and Zoe Kazan and Ben Rosenfield as the children. Alex Hurt is Armitage’s brother, an English version of the kind of loser Ralph Bellamy used to play. Susan Hilferty’s costumes are also witty.